1. Forward planning: From your training through to your saddle checks, feeding and farrier appointments. Plan your competition schedule and stable management to ensure that you and your horse are fit and ready for the season ahead. 2. Get established with a great trainer and stick with them. Even if you can only afford the odd lesson, spend that money wisely on someone whom you feel confident with and understands you and your horse. A great trainer who can give you ‘homework’ until your next lesson will provide you with a great focus and help you and your horse progress. Having the occasional lesson with a different trainer can be hugely beneficial. A different pair of experienced eyes can be very useful. Having lots of different trainers at the same time, however, can confuse you and your horse. 3. Look after your horse. If the ground is rock hard or we’re experiencing above average temperatures, put your horses’ welfare before a rosette and stay home. There is always another day, another competition and another opportunity but your horse is one in a million. 4. Look after your equipment. It might sound strange, but caring for your tack and equipment is crucial. Some loose stitching on a girth strap can easily result in an accident if it goes unnoticed, so check over your equipment regularly. 5. All work and no play is no fun. Remember to keep your training varied and also to have fun with your horse away from the arena. Boxing up and going for a long ride with a friend somewhere new is just the tonic to break up the routine. 6. Be realistic. It’s great to have ambitions but be realistic in your capabilities and current level of training. Get established and confident at one level before moving up to the next and make sure you are comfortable working at a higher level at home before attempting it in a competitive environment. 7. Don’t focus on the negative. Everybody has good days and bad days, so instead of reflecting on the bad, learn from it and work on those areas that need improving before your next competitive outing. 8. 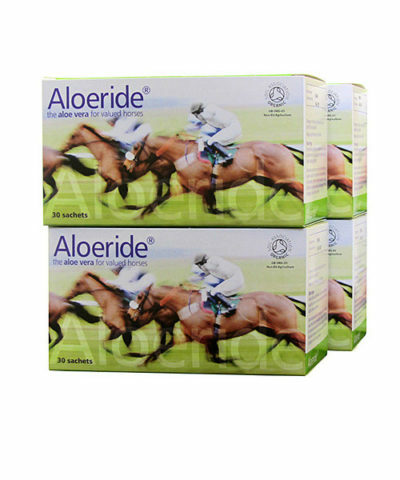 Feed your competition horse Aloeride. Many competition horses are thriving on it, not just for health reasons, but for interesting ‘opposites’ like natural calmer and racehorse performance and recovery. 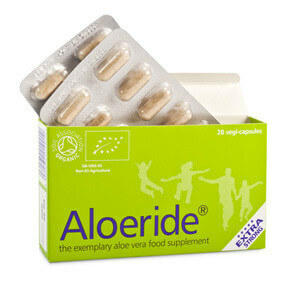 Not only is Aloeride NOPS tested but it is full of natural organic aloe vera goodness. Our super strength taste-free sachets help maintain a healthy digestive system and support great skin, hair and hooves. When you feel good, you do good! 9. Remember to enjoy your competitions. Most of us do it for fun, but if your dressage is becoming more stressage and showjumping is turning into a leap too far, take some time out of the arena and have some fun with your horse. Remember your relationship is a partnership inside and outside of the competition arena so make sure you both look forward to your competition outings! Sometimes taking a break can do you both the world of good! If you loved this blog, you might enjoy reading our TIPS for THOROUGHBRED FEET. One of our Irish friends cannot stand bitsy things in her mouth, she doesn’t like the smoothies. As an athlete she would benefit from smoothies so she asked me to write about how to stop your smoothies being bitsy. The trick is to create a soft mush first, before you add the lumpier ingredients. This morning a VERY large, diced beetroot was accompanied by a large, diced carrot. Between these two, smoothies can end up tasting bitsy which may turn people off. So, first in go the banana and a pinch of spinach, then add milk kefir to almost cover them. We use the Nourish Kefir. Now close container and WHIZZ. Glorious mush achieved! Open container, add diced carrot and beetroot and WHIZZ. Open container and you can see that it still looks a bit bitsy. Stuff in more spinach, add a generously heaped tablespoon of turmeric, a little black pepper and a slither of ginger. Now pour in as much milk kefir as the container is allowed to hold according to Nutribullet. Close container and WHIZZ with stops and starts. Perfectly fine to whizz for blips of 20 seconds at a time and there’s no need to cool with ice. The most important of turmeric’s curcuminoids is curcumin. This is the active ingredient that gives turmeric its powerful anti-inflammatory effect, it also is a good antioxidant. There is about 3%wt of curcumin in turmeric which is why we use a heaped tablespoon in every smoothie. Curcumin is poorly absorbed into the bloodstream. Therefore we add some black pepper, this contains piperine, to enhance the bioavailability (absorption) of curcumin by 2,000%. [Planta Medica 1998 May;64(4):353-6; Influence of piperine on the pharmacokinetics of curcumin in animals and human volunteers. Shoba G1, Joy D, Joseph T, Majeed M, Rajendran R, Srinivas PS.] Curcumin is fat soluble and the milk kefir helps not only to offset the impossible taste that 1 heaped tablespoon of turmeric has, but also helps its absorption. We get our organic turmeric powder from buywholefoodsonline.co.uk in a 1kg bag @ £14.83 which is very inexpensive for the anti-inflammatory-help-without-side-effects it provides. The cup of a Nutribullet Pro allows Mr van de Braak to have 1 pint of smoothie every morning and Mrs van de Braak ½ a pint. Cup and blade-end are rinsed with lukewarm water immediately afterwards and the whole exercise is all very easy and sustainable. We both take our Aloeride vegicapsules at the washstand in the morning . Is aloe vera safe for horses and, if so, is aloe vera always safe for horses and for smaller ponies? Several questions rolled into one, so let’s unravel this: 1 Can aloe vera do harm? (harmful molecules, contamination, degradation) and 2 Can aloe vera be overdosed or underdosed? and 3 Is it evidence based i.e. proof that aloe vera works? One type of molecule within aloe vera can be troublesome. Its laxative anthraquinones cause diarrhoea. Since horses are naturally on a high fibre diet, constipation is never your problem. Your feed merchant cannot tell you whether or not the aloe vera for sale contains laxative anthraquinones because labels don’t declare this (if they test it in the first place). Should you feed your horse aloe vera properly according to body mass, then you may find that he/she redecorates the stable walls. 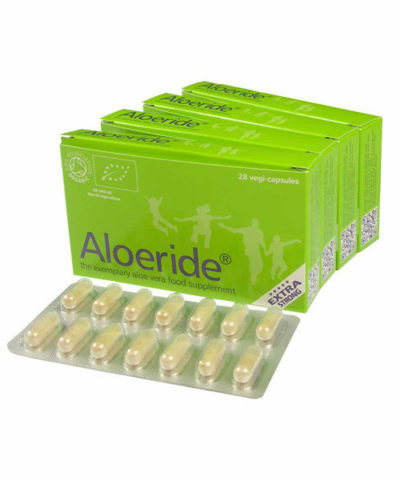 But, because aloe vera is expensive (discover how affordable Aloeride is) , dosage given is rarely in proper ratio to body mass, so the quantity that is fed rarely causes droppings to become too loose. Is this however the best way to go about things? Imagine if aspirin would cause diarrhoea and you would take a child dosage so as to avoid diarrhoea… would this solve your headache?? Precisely, so why not dose properly with aloe vera that doesn’t contain laxative molecules. Contamination can be due to soil and processing. Aloe vera is grown commercially below the equator and in the ‘dustbowl’ of Spain (that froze over one year and decimated their aloe vera plants because they forgot to put the antifreeze in – that last bit is a joke) and in Greece. Feed merchants rarely know where the aloe vera they sell was grown. We have lab measurements of South African aloe vera ferox that, according to their B2B marketing material, is used keenly by the beauty industry and yet it had the most atrocious nutritional values but… good enough to put aloe vera on their label! Laugh if you like but not so funny if you bought that product for your horse. China also has started to grow aloe vera commercially. The science director of an internationally accredited via ISO 17025 forensic food science laboratory wrote the book ‘Food Forensics’ which details the heavy metals analysis of over 800 foods, spices, superfoods, pet treats and dietary supplements imported from China, contaminated with toxic heavy metals like lead and mercury. Buy from safe sources, from those who are upfront about where their aloe vera comes from and are upfront about their lab values of nutritional profile. Dr. Ivan Danhof MD PhD – head of one of the laboratories where Aloeride quality control takes place – wrote to us that some aloe vera products contain β-linked polysaccharides from konjac root (contains approximately 49%–60% glucomannan with a glucose:mannose ratio of approximately 2:3). This is how some manufacturers inflate MeOHPS results to make cheap aloe vera look better in the hope to sell it for more money. Specialist tests however can differentiate between konjac and aloe vera! Sometimes it is not the plant that is degraded but the people who make the product. Liquid aloe vera goes off. To slow down (but not avoid) bacterial degradation you must put liquid aloe vera in a fridge after a tankard, jug or bottle has been opened. Stabilised aloe vera aims at offsetting oxidation but that doesn’t phase bacteria. What worries bacteria to the point of meeting their Maker is ‘no H2O’. Other than bacteria that produce spores or MRSA (neither are present on the leaf of aloe vera) most bacteria cannot survive without water. That is why Dr Ivan Danhof MD PhD proposed to freeze aloe, extract the water and use only the working solids within aloe vera. Why not deliver all the goodness of aloe vera in dry powder form and outsmart the bacteria. More often than not, horses are underdosaged on aloe vera. This is because horse owners struggle to afford dosing right. We know this because we are being asked specifically about this. Salespeople do the children’s aspirin trick that makes aloe vera use more affordable but it predictably lowers beneficial effect. 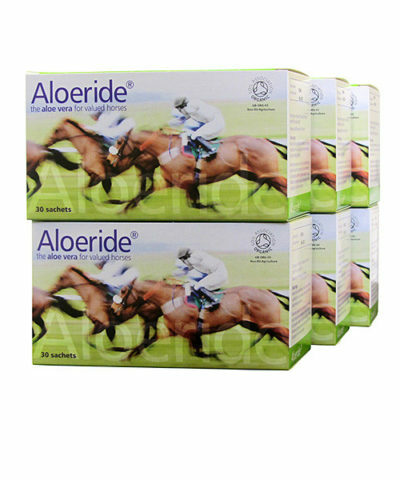 Aloeride aloe vera takes into account that there is a 5.88x difference between average human weight and that of an average horse, and with a known polysaccharide binding site occupancy, our serving of 2,000mg/day (400 milliliter equivalent) is a proper dosage for an average horse. 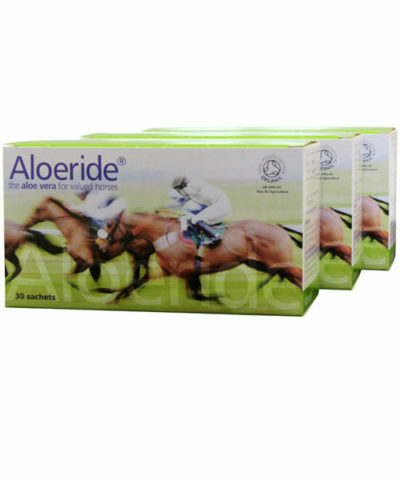 Aloeride makes that affordable for your horse. When you weigh your horse on an equine specific weighbridge or by using a weigh tape (about 90% accurate) you need to remember that body composition is as important as the kilograms/pounds. 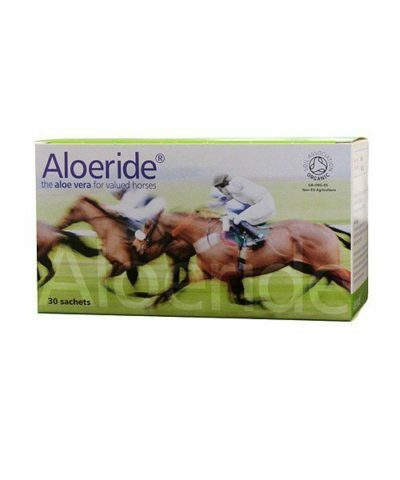 A para-dressage rider with a horse on Aloeride (header picture in Coat Health and Natural Coat Shine) at 1 sachet/day reported back that her horse had increased weight on the weighbridge but had not increased girth measurement. Yes that means that lean body mass increased i.e. 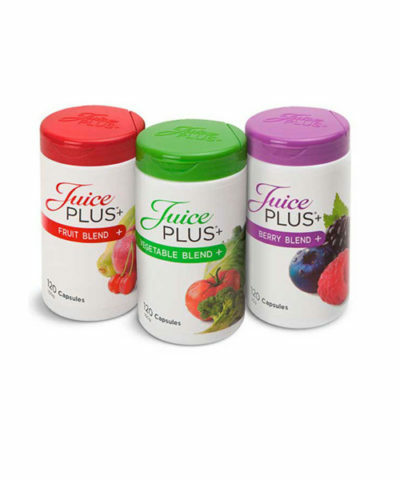 it is a healthy weight increase with more muscle support for joints and so on. 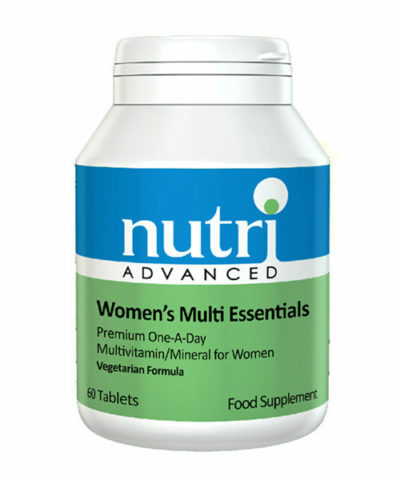 Optimum nutritional intake, optimum nutritional uptake. 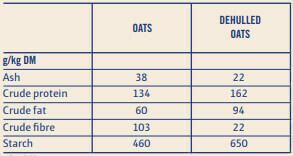 Draft breeds range from approximately 16 to 19 hands and from 1,400 to 2,000 lb (640 to 910 kg), and at 910kg you may consider 1 sachet twice a day if 1 sachet once a day has not already delivered the beneficial effect hoped for. 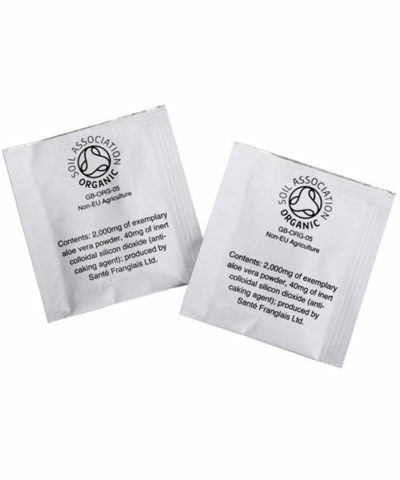 Small ponies have ½ sachet a day (you must close the sachet quickly after dispensing and seal it). Once all the polysaccharide binding sites in your horse’s gut have been occupied, it poops out the excess polysaccharides. Quite frankly overdosing on aloe vera would be very difficult to achieve. 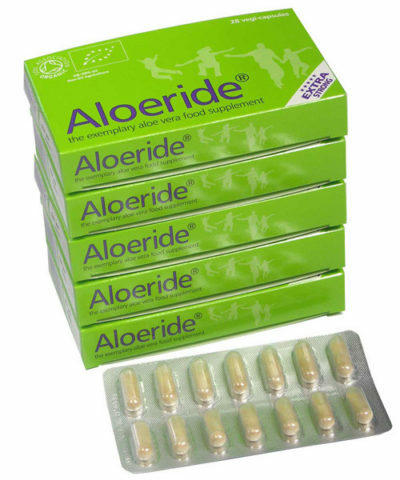 Underdosing is commonplace but not with Aloeride. Many vets in both large and small animal practice recommend that patients take aloe vera. This can be applied externally in which case laxative anthraquinones do not matter. 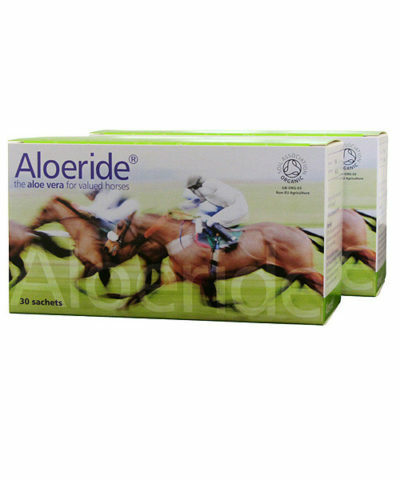 When aloe vera is administered by mouth many vets are moving away from liquid aloe vera to aloe vera in sachets. 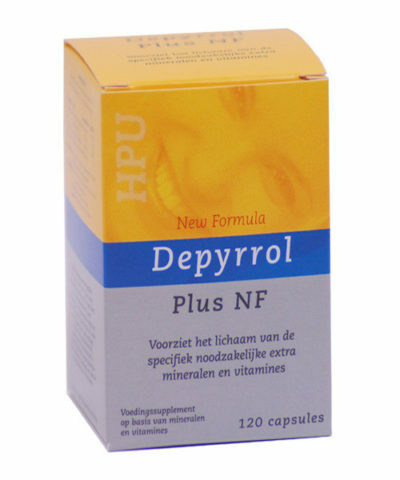 This avoids diarrhoea, dramatically improves dosage and there are other practical advantages. Vets can be hesitant about ‘natural remedies’ because often it’s unknown how they are made (no standardisation like drugs) and often there’s little research. In case of aloe vera, there’s a timeline of 4,000 years of use plus a hefty pile of proper research. 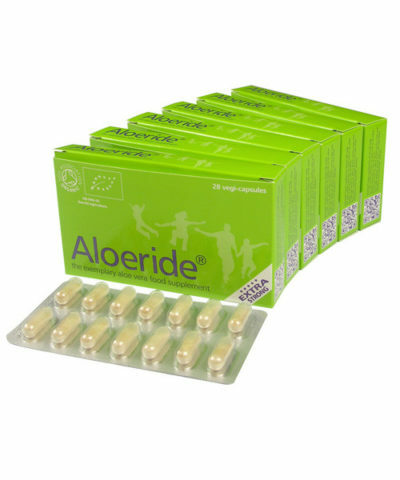 Aloeride is produced by a UK pharmaceutical clinical trial company. Being safe with aloe vera is a choice. In July 1844, the Royal College of Veterinary Surgeons was granted its arms and, due to aloe vera being used widely for the treatment of animals, the RCVS chose to include aloe vera in its coat of arms. The crest displays a wreath of the colours, a centaur proper, holding a shield argent, charged with aloe vera barbadensis miller, also proper (proper indicates natural colouring). 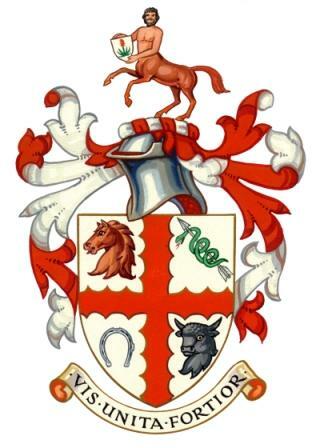 The centaur on the crest is presumed to represent Chiron the centaur, the Greek mythological ‘father’ of all medicine. The horse, bull and horseshoe were all included to represent branches of the veterinary art, while the healing arrow pierces the serpent of disease. 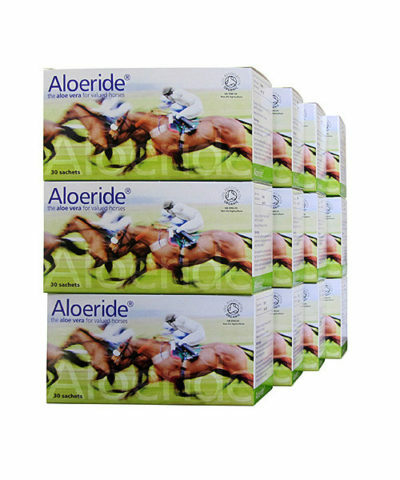 We are very proud to supply veterinary surgeries with Aloeride. 1. Win the lottery and put your horse on full livery. Let someone else deal with the misery of winter with horses, while you jet off to somewhere hot and sunny and return in May with a nice suntan and feel refreshed ready for the competition season ahead. 2. Eat lots of chocolate and wear lots of layers. No one is going to judge you (well not us). 3. Appreciate that your ‘yard attire’ is a strong look which generally will look out of place away from the stables or barn. Be prepared to be the focus of everyone’s attention including the security guard should you decide to pop into the supermarket on the way home. 4. Accept that you have a good six months of hellish weather conditions and silly horse season ahead and prepare mentally for the challenge. Sharing titbits of advice with your fellow yard mates can also unite you; ‘Don’t leave the kettle empty when you leave at night’ is one essential which will mean that the first person at the yard in the morning will be able to enjoy a cuppa’. Failure to do this will see you as a stable outcast. 5. Be prepared for the twice-daily work-out that is called rug changing. Designed to help build shoulder, back and upper arm muscles, this routine will ensure you step into spring looking super toned or with a considerable chiro bill and nerve damage. 6. Enjoy the wheelbarrow challenge which is poo-picking the fields. If you can navigate through knee-high mud to tend to your fields without losing your footwear or the wheelbarrow, bask in that moment with pride. It might be shortlived. 7. Celebrate your amazing ability to fix virtually everything with WD40 spray, bailing twine and tape. This sadly does not apply to your horse, but for everything else, there is a way. 8. Enjoy those small moments of winter horsey life such as huddling around one small portable radiator at the yard in minus zero conditions and your horse coming in from the field without another ripped rug/lost shoe/boot/overreach boot. 9. Acknowledge the endless cycle of horse laundry that your home will enjoy as you decorate every available space and radiator with saddlecloths, boots, bandages etc. Embrace that wonderful musty horsey aroma as it impregnates every soft furnishing in the house. Ahh, J’adore Le Horse. 10. Get a wall planner so you can cross off the days until the clocks change again. Get creative; you could even put weather symbols each day to keep a track on the weather. Actually, don’t do that. No one wants to see that kind of negativity. Did you know that your average horse needs between 20 – 30 litres of water a day, and even more so if they are exercising, to keep them healthy and hydrated. A horse’s body is made up of around 70% water, as an average, so it’s important to keep your horse hydrated, especially as dehydration can have serious health implications for the horse. What more than H2O does your horse need to keep itself hydrated? In human Medicine, unrecognised dehydration can presents as TATT… (tired all the time). It is not a bad first check for when a horse’s performance is slightly under par. The most significant risk posed to the horse with dehydration is the risk of colic. The reason for this is that horses store water in their gastric tract and if this dries out it can lead to impaction colic. With longer hours being stabled, and increased fibre uptake, the combination of both can have a detrimental effect on your horse’s digestive system. 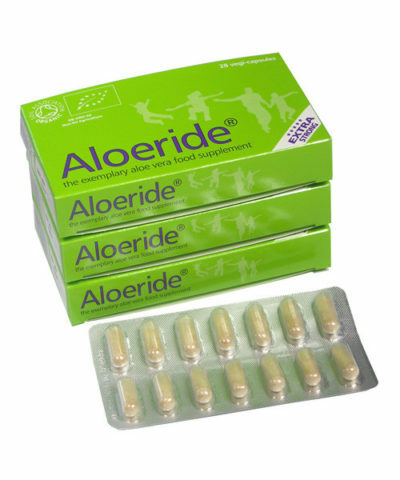 Fortunately, Aloeride can help support hydration. It does that by providing a raft of very necessary, inorganic minerals that help to secure that the H2O your horse drank, stays inside for long enough to benefit. Signs of dehydration are important to look out for and spotting them early can make a difference in dealing with a problem or an emergency. Pinching your horse’s skin to see how long it takes to ping back is no longer considered a reliable way of assessing your horse’s hydrated state. A blood test taken by your vet will be able to determine what is wrong and we recommend always consulting your vet if you are the slightest bit concerned. When the colder weather arrives, it’s even more critical to ensure that your horse has free access to water and some horses do not like drinking freezing cold water, so adding a little hot, to the water to keep it a nice palatable temperature, can encourage fussy drinkers. Also if you give water via buckets, keep an eye on their intake as part of your daily routine so you can spot any sudden changes in their drinking habits. Make sure that your water troughs are clear of ice so that your horse has access to water out in the field and soak hay or feed haylage as opposed to dry hay to increase his moisture levels. If your horse is drinking less, then it might be an idea to add electrolytes or a teaspoon of salt to his feed to encourage him to drink, but again speak to your vet if you are concerned. If you are working your horse over the winter and he is sweating each time you ride, you should consider clipping him to remove the hair which is causing him to sweat, even if it is just a blanket clip with a neck. This will not only make him feel more comfortable when being ridden but keep him cooler than trying to work out in a heavy winter coat! If you enjoyed reading this blog, you might enjoy reading Electrolyte Status During Exercise. Let me explain why the magic of aloe vera is not in its water. When anybody tells you that aloe vera gel (aloe vera juice) is ‘best’ because ‘it is more natural’ or ‘it contains its natural medium’ then remember this: Nature uses water to move stuff from A to B. That is why your body as a whole contains some 60% water, your brain 70%, your blood 83%, your lungs 90% and that is why aloe vera contains 95% water… so it can move its nutrients about and doesn’t run dry during droughts (after all this is genetically a desert plant). Nature’s biochemistry works because of the transported stuff and not because of the water. So when it comes to aloe vera, you can get water perfectly fine from your tap water (we think it’s better when you filter it). What you seek is that what fuels the magic, and this is what laboratories measure in abundance inside Aloeride… high levels of working molecules. We freeze the water out which means that heat-sensitive molecules within whole leaf aloe vera barbadensis miller remain intact (note that Aloeride gives you the water-soluble nutrients via the inner gel as well as the lipid-soluble nutrients from the rind). We assume that you too prefer ‘fact via objective measurement’ over ’emotive marketing’. For what’s the point jubilating about a carton of twelve eggs when in reality it contains only six… or in some cases even less. You see, what aloe vera gel enthusiasts may not know is that independent laboratories time and again measure that Aloeride aloe vera contains very significantly more of the molecules that are responsible for the accolades attributed to aloe vera. By taking the water out responsibly, we are able to put loads more working molecules in a vegetarian capsule or in a sachet, of course this also prevents bacterial degradation so we don’t have to use (and you can’t react adversely to) stabilisers. Aloeride gives you those 5% working (incl. beta-linked polysaccharide) molecules because they work the magic, notably the orchestration of the other molecules. Aloe’s 95% water is just the medium that enables movement from A to B (true within soil, within any plant, within any mammal outside its cells). Water is not what aloe vera’s many accolades are based upon, otherwise water would have received that same praise. That’s deliriously simple isn’t it.